Ephedrine-Free Fat Burning Agent. Keep the pounds off! Clentrimix is a super powerful formula that safely increases your metabolism to shred fat and keep it off. Clentrimix is fast-acting and is the most potent legal Clenbuterol all-natural alternative formula available without a prescription. Great for both men and women! Even More Fat Burning Benefits! Clenbuterol is a popular product used by athletes, celebrities and for recreational purposes. 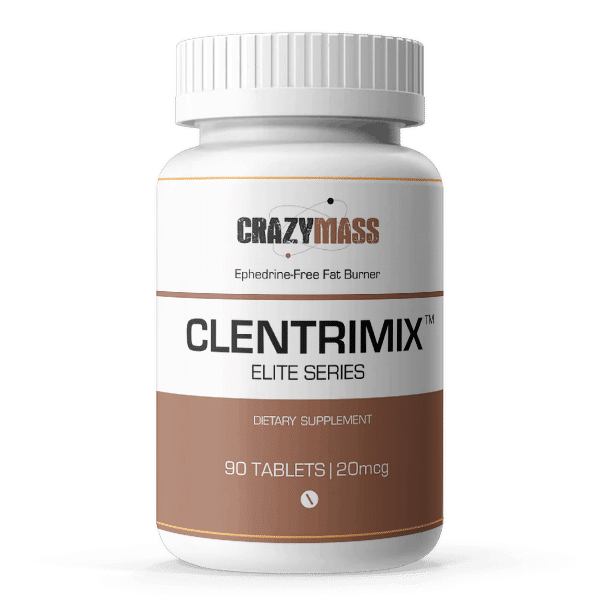 Clentrimix, the all-natural bodybuilding supplement to Clenbuterol, is versatile enough for bulking and cutting cycles and contains premium ingredients for fast results. 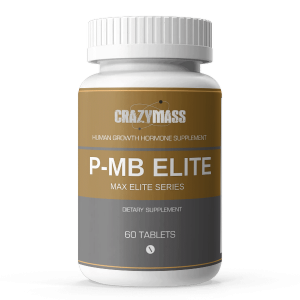 CrazyMass Clentrimix Elite Series is a thermogenic agent that melts away fat, tightens and tones but also retains lean, dense muscle by increasing oxygen transportation. 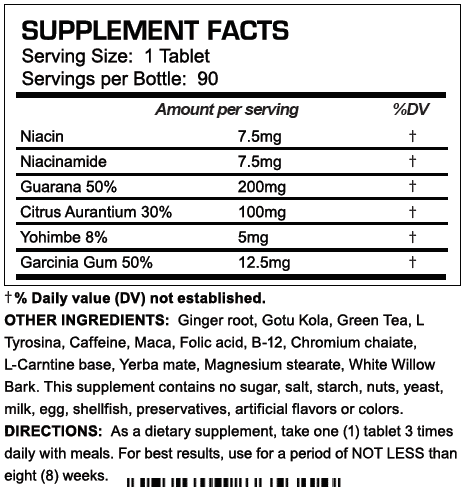 Ingredients include Niacin (as niacin and niacinamide) Folic Acid Vitamin B-12 (as cyanocobalamin) Calcium (from dibasic calcium phosphate) Chromium (from chromium amino acid chelate) Guarana (seed) Extract (50% caffeine), Gotu Kola (leaf), Green Tea (leaf), L-Tyrosine, Caffeine, Maca (root), L-Carnitine, Yerba Mate (leaf) (Iliex paraguariensis), White Willow (bark) Yohimbe (bark) Extract (8% yohimbines), Citrus Aurantium (fruit) Extract (20% synephrine), Garcinia Cambogia (fruit) Extract (50% HCA), Ginger Root. Excellent product so far….does exactly what it is suppose to do very good clean energy all day…….will buy again soon. Awesome product so far…….better when taken in the morning time is what works for me. Clean energy all day……will buy product again. I had gotten fat over the years. I ordered Clentrimix and saw results with each day of use. I did my abs six days a week and now have four rows of muscles on my abs. I did my chest every other day and I lost the fat in my chest. My chest is not striated with hardly any fat. Clentrimix works fast with each day of use. I strongly recommend this. It can be used as a stand alone fat burner. 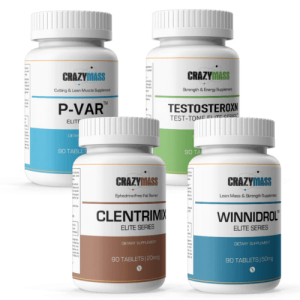 However, I ordered this with Paravar and Deckadrolone. Gave it 4 stars because I’ve only been using it for a couple weeks now, but have lost 7 pounds. Definitely looking forward to see the results after being on it for a couple months.